"Be analytic or be imaginative, you will love it !" MindGenius 2018 is definitely improved to a high level of user friendlyness, making also easy to export content to software such as the Microsoft Office suite ones, and last but not least having easy to use analytical capabilities and reporting functions. As it is really easy tu use, it also enables quickly collaboration between cross-functional teams or between remote locations. I have been using the 3 latest versions of MindGenius and now I have very little if no issues using this product. Use the trial version of MindGenius : you will soon adopt it ! I use primarily MindGenius 2018 to manage my ideas and structure brainstorming activities, either in small groups or in larger teams. It appears that the product saves time and thus money in a lot of collaborative sessions. By setting standard ways to work and standard ways to represent the results, it enables also work between cross-cultural teams. In large teams (> 10 people), it reduces to 1-2 hours the lead time to being operational in large work sessions or dedicated workshops. Use the trial from Mind Genius, you won't regret it. I've used this primarily in approaching business efficiency exercises but also when dealing with expansive operations projects as the software captures the issues and they can be easily linked to better understand the "big picture"
"Thoughts Become Things ( We work in creative industries) "
What I like is that we can take clients from initial meeting - to project brief - to costing and project planning - to simulations - to sign off - and production. And then we can report - manage the project - handle exceptions - stay on track - modify - keep everyone up to date . And frankly - MindGenius gives us a creative to practical edge with all "Thoughts Becoming Things" projects with excellent integration and collaboration at all times. Earlier versions were not as project reporting friendly as current versions and it took a bit of trial and error to get the right formats for reporting particularly on financials. Whilst resources and time allocations are simple , we still have to export the projects to more costing centric software products to get accurate costings and tracking on costings for projects. No biggie as compatibility is good. Try it. I played with it and was up and running within hours. I know there is still more I can do with the product and with each version more becomes available. I first started using MIndGenius back in 2000. This has become a standard in every business I have worked for, or consulted to, ever since 2001. Initially we used MindGenius to capture and create structured web solutions from meetings. We used the note taking, disassembly of thoughts and re construction of mind maps to literally create blue prints and wire frames within hours of meeting conclusions. Then using the maps to move directly to costing and project plans was unbelievable. Literally saving us tens of thousand of dollars in man hours and more importantly helping us create products faster and better than we could have imagined. Loved how we were able to keep all of our projects in line and flowing well at the one place. Not only were we able to see where everything was at at any given but, we were also able to show our clients the same thing making them aware what was happening and were it was going. Some of our clients loved the system so much that they then also started using it themselves. There was not much to dislike as this was an easy and helpful system. I have used this to capture meetings and plan things, it is excellent, use it! Keeping tasks on track was something we solved as with this system we can always tell where everything is at. The benefit we realized we have with this is also being able to share statuses with clients and invite them to contribute to projects by adding them to a project. "MindGenius as an idea manager and active archive"
•	Re-read them at any later time in just a few minutes. I also like the fact that the software allows me and others to work together to create a “group-intelligence” understanding of issues and produce better questions and better answers than any one of us could do…..and especially I like its ability to capture the ideas and energy when we talk and brainstorm together rather than allowing those ideas to escape into the ether and be lost. Not a lot. But I prefer version 5 to version 6 and hope that subsequent versions restore some of the instinctive use-ability factors of the earlier version. At the moment, I am writing a book about the toxins and deficiencies that can occur in workplaces and MindGenius has, over recent years, allowed me to produce succinct mapped summaries of a great many relevant books. Now having loaded these maps into the cloud-version of MindGenius, Barvas, I can do a global search for key words, such as “Greed”, “Animosity”, and have Barvas point me to the text that uses those words and could be relevant. This speeds up my writing process and overcomes my poor memory and the brutal fact that it is hard to hold the essence of even one book in my skull. "Fantastic tool for planning scope, developing high level time line and gathering requirements"
MindGenius has a lot of mind mapping capabilities that are applicable to project management. The team has also implemented several smart features that improve overall usability including the Map Explorer and the ability to create a new node just by typing. The tool is very helpful in brainstorming project scope and organizing project teams. The tool can be used to develop project scope statement, organization charts, project charter outline as well as represent project status in a mind map view. As the mind map grows, the Map Explorer can be used to easily traverse the map. When editing a schedule in the Gantt Chart view, I have to double click on a cell to enter the value. It's not a show stopper but just a small usability nuance. "MindGenius - one of the first and the best mind mapping products on the market"
I have been a long time user and advocate of MindGenius since first discovering mind mapping in the early 90's. I have used MindGenius extensively in the higher education sector with a range of student cohorts, undergraduate and postgraduate. I have found it can really transform a students ability to synthesise and structure their understanding of a range of topics and it works particularly well with students struggling to get started with their assignments. Nothing really - this is a well tested and robust product. This is a very well developed and mature product that was one of the first mind mapping pieces of software available and is probably the best on the market whether that is for large enterprises, SME's or individuals. The company support is excellent and they have been around for a long time. The application is stable and robust and there have never been any issues with roll out or ongoing support and development. Highly recommend it! I have used MindGenius to structure and resource new projects and plan new educational programmes I have also used it to solve messy problems - it is particularly useful for group brainstorming as ideas and solutions can be put on the screen as the brainstorming takes place, then re-arranged, prioritised, people allocated to tasks and then the complete map can be exported to a document, presentation, project software etc. Mind Genuis/BARVAS have struck the right balance between complexity and practicality. They have a product which facilitates effective Project Management from Project Planning through to Execution and Project Closure. Barvas allows a Project Manger to co-operatively work throught the more abstract planning and definition stages bringing structure to the project, generate a baseline schedule then allow management and tracking of project tasks and deliverables through easy to manage and maintain lists. Most Project Managerment products provide complex tools which try to do everything. Mind Genuis/Barvas has provided a pragmmaintains easy to use drag and drop and menu driven interface. Mind Genius is a user friendly tool that provides a scaffolding for any planner. Whether a novice or experienced project planner or a junior high student completing a science fair project, this tool has templates and visuals to map out the path for the journey. I struggled to intuitively use the keystrokes to create child or sibling level bubbles on the mind map. Instructions were provided but they just didn't stick well in my mind. I am also overly visual and had to spend more time than I should have in changing the color scheme and defining the styles I wanted to use on the individual levels of my mind map. Although there are preset templates that are ready to go, I needed to deviate from the model and I spent too much time changing details like font size or style etc. I am sure there is an easier way than the way I did it, but I couldn't find instructions. MindGenius is an excellent investment for project or personal management. It is easy for a starter but also has the capacity to be used intricately by an expert. It also interfaces with other software. The company provides excellent support, as a person has always replied to me personally within 24 hours. They also provide a free reader if you need to export a mind map to display on a computer or system that does not have MindGenius. "A product with many uses"
Our office consists of departments with very different needs from MindGenius, from Project Management, and mind maps to tracking tasks and we need a versatile piece of software to do it. I liked the fact that MindGenius despite all the things it can do is still straight forward and easy to use. The one thing I have so far come across is moving a Mind Genius account to another work station. I fully understand that the software copy protection needs to identify where it is to stop multiple copies being made, but the process of sorting this out is rather long. As I work in Marketing but also have projects to oversee, the ability to clearly see the different tasks I have and their current state makes my ability to prioritise much easier. 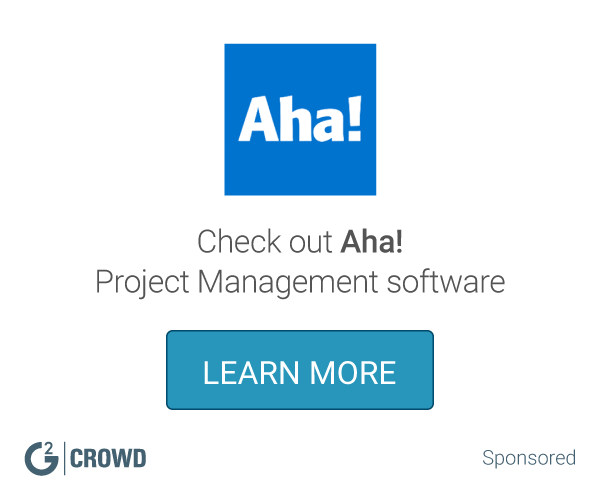 "MindGenius is perfect for project managers! " What I like best about MindGenius is that this platform enhances our understanding and knowledge about visuals. The tool is good at connecting ideas and information by maps. Another aspect of MindGenius that I like is that the tool lets you manage your projects from how I want it from the beginning to the end when the outcomes are delivered. The platform has features that help you understand what the overall project goal and scope are. The most helpful part is that they schedule tasks, have check lists, and manage the project until it's completed to the end. One of the aspects that I dislike but don't mind is the Solution Finder section. The reason being is that this section can be complicated and challenging. They have a structured methodology that will view gaps and holes from different views and perspectives to find the best solution possible. As this section is confusing and complicated, it is totally needed and useful. I would definitely recommend this platform tool to other users who are considering to partner with MindGenius. This tool has helped us project manage assignments, keep everyone on task with the timeline, and be clear about what the outcome goal and project scope is. One of the business problems that we solved within our healthcare system is how to efficiently complete applications with CMS. There are multiple moving parts to this application project and this tool has helped us project manage all of the different moving parts. The benefit by using MindGenius is that we are more organized, on task, and clear about what our project scope is. "Mindgenius : An excellent tool for note taking and organizing"
I like mind mapping. I take notes using mind mapping. I run meetings using mind mapping. I run simple projects using mind mapping. I have tried many different mind mapping softwares. Mindgenius suits my needs best because it has a simple and easy to use "no-frills" interface. I find it especially useful to be able to type a thought and then simply hit return to start with the next thought. Most other mind mapping softwares require a conscious effort to click on a little tab on the selected box in order to generate another box - too time consuming. I also find the export functions, especially to Powerpoint and Word useful and simple to use. The iPad app could be improved. Several other mind mapping softwares do the iPad app better. I would also like to see an iPhone app. I use the iPhone 7 plus and the screen is big enough to work on mind maps. The teams I lead are mostly Chinese with limited English ability. I find it very useful to run project meetings with Mindgenius projected on to a big screen. It is very easy for the participants to see the overall structure of the issues and the tasks which are assigned to themselves and to the other team members. Since I started using this technique some years ago, efficiency has increased dramatically. "Multi-purpose analysis and project management"
The software is very easy to use, very intuitive. I don't use it for Mind Mapping in the classical sense of memorisation but use it to clarify my ideas, write reports, prepare presentations and manage projects. It also loans itself to teamwork to analyse and resolve problems. It requires minimal training to be able to create results. Very little. I would like some other facilities in project management such as being able to add lead and lag times to links but this is fairly easy to overcome. There is a automatic project report which would be more useful with a little extra effort. Give it a try - it is easy to implement and simple to use. MindGenius is providing us with an easy to use, full featured, project management tool which is easy to train. Notes taking in meetings can be used to generate action plans (and even sent out as tasks within Outlook). * We monitor all MindGenius reviews to prevent fraudulent reviews and keep review quality high. We do not post reviews by company employees or direct competitors. Validated reviews require the user to submit a screenshot of the product containing their user ID, in order to verify a user is an actual user of the product. Hi there! Are you looking to implement a solution like MindGenius?